The CONSOL Energy Corporation headquarters is a 300,000 sq. ft. building constructed in the shape of the CONSOL Energy corporate logo (C/E). The logo can easily be seen from the air. 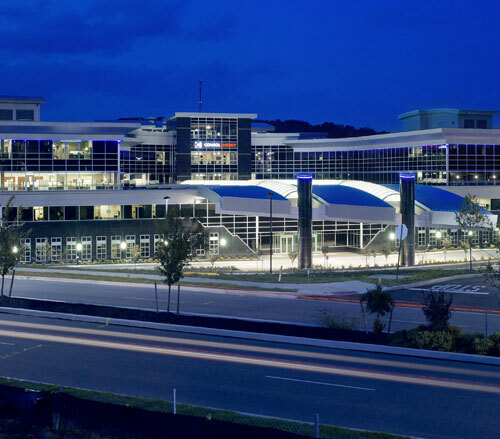 At night, LED lighting provides a blue glow around the perimeter of the building. 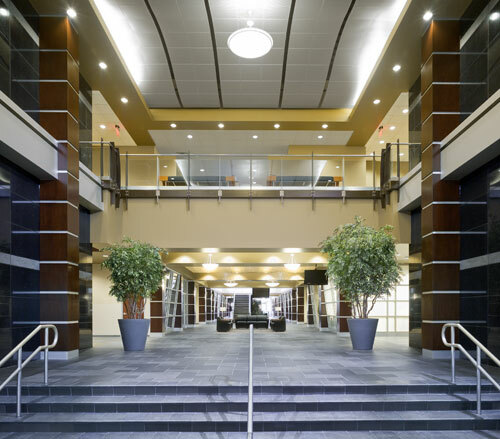 This LEED Certified facility includes energy efficient lighting, state of the art conference rooms, an executive dining area and a complete snack bar. Lighthouse Electric provided design assistance on the exterior lighting of the building. Our contract started as "core and shell" construction only. 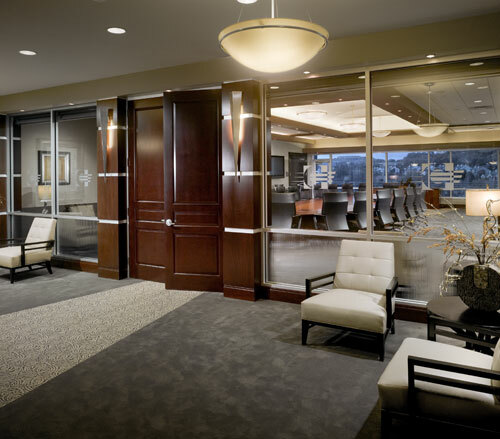 As construction proceeded, Lighthouse was awarded the interior fit-out portion of the contract.